If some home improvements are on the cards and you are wondering how to plan a kitchen, then you’ve come to the right place. Using over 60 years experience as a major Leicester kitchen supplier, we’ve put together the ultimate guide to planning a kitchen to ensure the heart of your home is everything you need it to be. The success of most things is all in the planning. And let’s face it, replacing one of the most important rooms in your home isn’t something which happens regularly, so you’ll need to be 100% sure that it’s not only right for you at the time, but a kitchen you’ll enjoy using and spending time in for a good few years to come. An ultimate kitchen should also make the very best use of the space available. This means decluttering and then planning every bit of the design, construction, layout and storage to ensure it gives you the very best results. Take a look at the shape and layout of your current kitchen – is it, for example, L-shaped, galley style, island, horseshoe or U-shape – what are the options? Different styles of kitchen offer opportunity for different things, such as extra cupboard space or counter area – so if you have some flexibility on the shape that your new kitchen will be, it’s always worth consideration. Also, as part of the planning, have a think about what your kitchen will be used for. 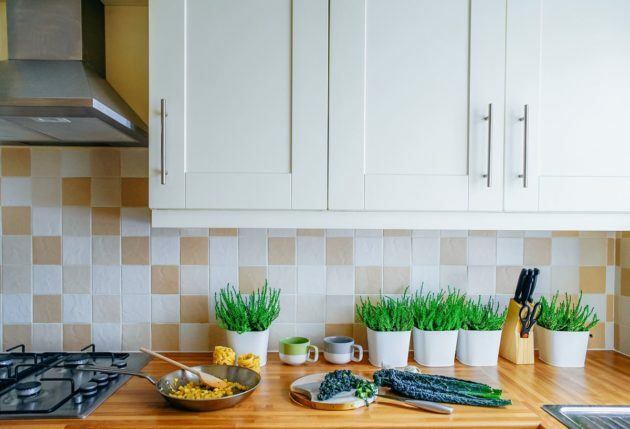 If you live alone, or as a couple, perhaps it’s literally just a place to cook, in which case, you’ll want all your appliances easily to hand and to make the most of worktop space. Perhaps you love cooking up masterpieces – in which case the layout should have effective storage to ensure everything you need is close by. If, on the other hand, your kitchen isn’t only a place to cook in, but needs to be a welcoming space where family and friends can socialise and homework and other tasks can be done, the layout may be altogether different. Getting a new kitchen exactly right and avoiding mistakes along the way is all about assessing exactly what you need from it and making it work for you – this will come from great planning. What do I love about this kitchen? What do I hate about this kitchen? Is there anything that could be better? What has to be here? What is the purpose of my kitchen today and is it meeting that purpose? The answers to these questions should give you a good idea of exactly what you need. Remember, kitchen uses can change and evolve as families get bigger and smaller. Life moves on and so will your requirements – so take a look at what you have and use the points above to design a kitchen that better suits your current and future needs, as well as finding something beautiful to suit the style of your home. When planning your ultimate kitchen, it’s wise to work out your budget and stick to it. Be realistic about what’s most important to you – whether it’s cupboard design, storage, worktops, appliances, lighting or overall style. Once you know what you have to spend on your kitchen (with a 10% contingency) and where your priorities lie, then it’s easier to begin to plan your design ideas. In addition, consider whether any building work will be required when planning your kitchen. It might, for example, be that you require more space now your family is larger, in which case, you’ll need to ask yourself, will you knock down a wall between two rooms, or build an extension? All of this should also be factored into the budget for a new and improved kitchen. It’s fair to say that, with the disappearance of the dining room and the move more towards open plan living, that the kitchen has become so much more than just a place to cook these days. Homeowners are, as a result, increasingly using it as a place to eat, socialise, work etc and as such, the requirement for more space has increased. But building work doesn’t just have to be about extensions, or removal of dividing walls. Also consider any additional plumbing, electrics and decorating that might be needed in addition to buying the kitchen itself. Seek recommendations on the people who you employ to do the work, check the projects they’ve worked on in the past and remember to check whether you need planning permission for the building work that is to be done. When it comes to planning the design and layout of your kitchen, all of the above points should be taken into consideration. In addition to the look and feel, kitchen design ideas should take into account not only the shape and size, but also how much storage space you’ll need and whether you have room for all the appliances you want in there. 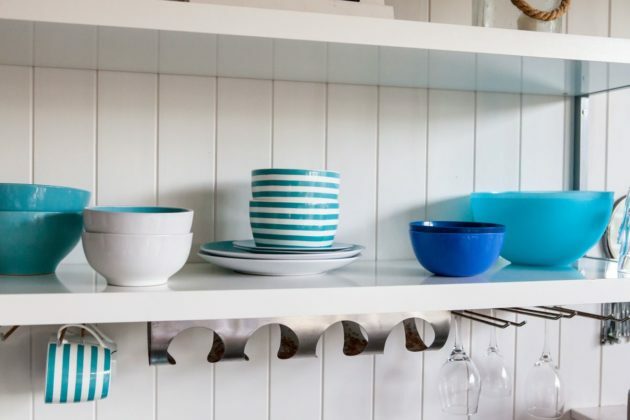 Again, it’s here that decluttering becomes a vital part of your kitchen planning process, because it may turn out that you need less storage space than you first thought. After all the initial planning has been done, then take a long, leisurely look at the stunning and diverse styles of kitchen that are available. Have a browse in magazines, brochures and on social media sites, such as Pinterest. Draw inspiration from the latest trends and all that which you find pleasing to the eye, wherever you see it. It’s now that you can also plan the awesome finishing touches that will make your kitchen truly amazing. To bring your ideas to life, why not come into our Granby Street showroom to have a look at some of the excellent kitchen design ideas that are on display? If planning and designing a new kitchen is alien to you, or you just want reassurance that you’ll make all the right decisions, then feel free to consult the experts. Get the most out of your living space – contact our kitchen designers today for more details on how to plan your perfect kitchen.